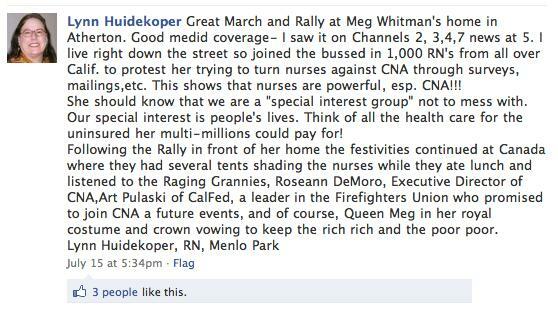 Thank you Lynn Huidekoper for letting us know that we should not mess with the CNA. Thank you Pat Lynn Weston for threatening Meg Whitman. And thank you CNA for reminding us that “Nurses won’t be pushed around,” rather they will just push others around. Lefties = peaceful. ← Did Obama appoint Shirley Sherrod, the USDA racist?